Many different switches can be found in industrial installations. Since 2015, secure accesses to machines have to comply with the EN ISO 14119 standard. Every door, flap or protective cover requires its own construction, assembly and security. 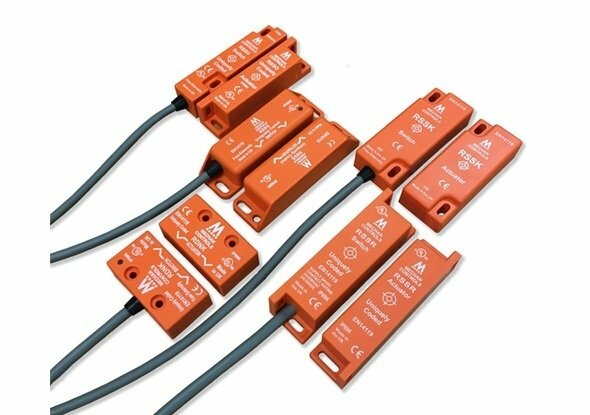 Safety sensors, also known as contactless safety switches, monitor the status of a door, flap or protective cover for safe access / switching. RFID safety switches communicate on the basis of radio waves (Radio frequency identification) and are thus contactless. RFID switches are uniquely coded and can not be manipulated, which makes a high level of security possible. The transponder (transmitter) transmits a magnetic field to the receiver. The transmitted signal is received by the receiver, depending on the switching distance, and the safety switch is closed. ReeR Safety and Mechan Controls are specialists in the field of contactless switching. 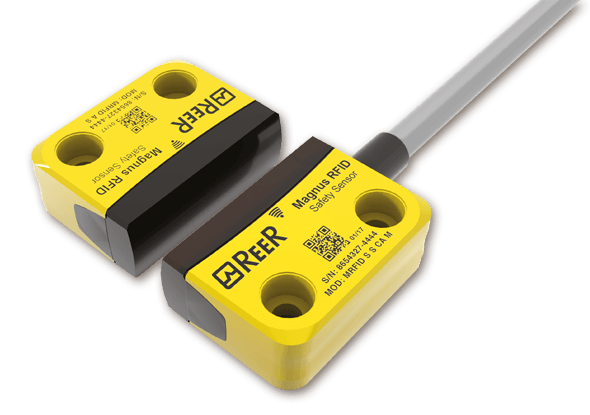 Contactless safety switches from ReeR Safety work on the basis of Magnus RFID sensors. RFID sensors transmit uniquely encoded radio waves. The uniquely coded radio waves are difficult to imitate and ensure that the communication transfer is not sabotaged, something that is possible with magnetic sensors. Working with doors, fences, valves, etc. brings risks. What happens if someone unexpectedly opens one or more doors? 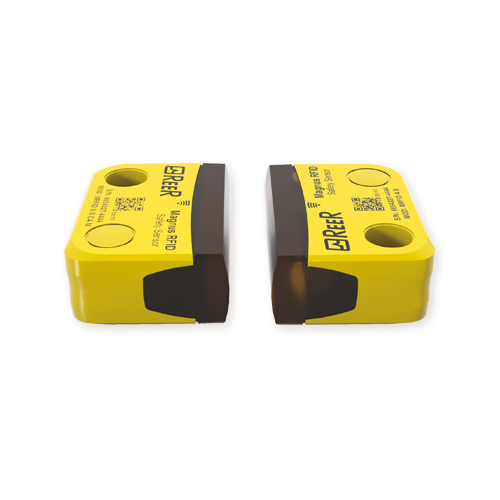 With the ReeR Magnus RFID contactless sensors you are able to monitor the unexpected opening of doors, valves, fences, etc. The process is interrupted as soon as someone unexpectedly and unannounced opens a flap, fence or door. Read more about the Magnus RFID from ReeR Safety. The RSS series safety switches from Mechan Controls are unique because they use volt-free contacts. 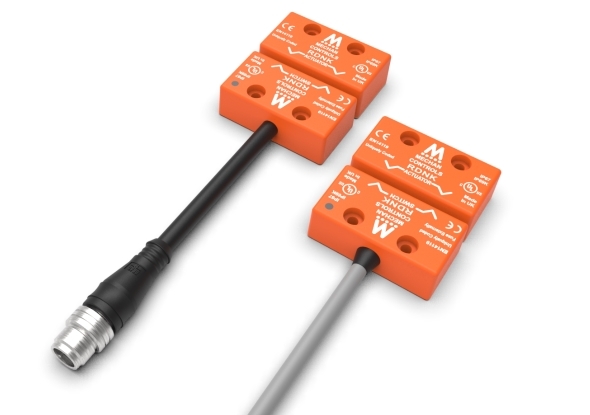 You are not required to use relays or other safety components from Mechan Controls, but you can also connect the RSS series safety switches to the programmable safety relay from ReeR Safety. The safety switches are individually coded and suitable for high security applications for securing machines. The RSS series is available with a IP69K seal rating for use in humid, heavy and dusty environments. 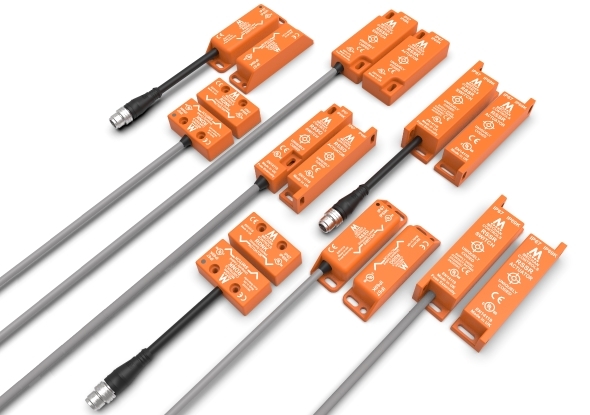 Unlike other RFID switches on the market that use OSSD, the Mechan controls RSS series is unique because it uses voltage-free contacts, which means you are free to choose your safety relays. The RSS series offers extra security by using 4,000,000,000 unique codes to safety category 4 according to safety standard EN 14119. Read more about Mechan RSS series.